Sundown Music Festival offered something for everyone over its newly expanded two days this past weekend inHuntington Beach. Providing a beautiful and laid back setting along the Southern California coast, the festival’s offerings on Saturday and Sunday were in stark contrast to each other. Saturday was by far the more packed day, with the festival’s main stage playing host to a bevy of all-star DJs and a super boisterous crowd. The festival’s pirate ship themed Shipwreck stage was the hotbed of activity for day two. The Shipwreck stage was Erick Morillo’s Subliminal Records stage on Sunday and played host to a variety of tech house and deep house acts such as Chus + Ceballos, Saeed Younan and Chris Garcia. Saturday was just an absolutely perfect sun filled Southern California day at the beach. Arriving before any pressing music was on, my photographer, Cory, and I familiarized ourselves with the festival grounds and enjoyed some of the many rides scattered across the beach. Upon entering the festival the first ride you encounter is a giant drop out water slide, at least four stories by my estimation. You literally drop straight down and are airborne for a moment before you land on the giant inflatable air cushion at the end, talk about getting your heart rate up for a festival. Next we made our way over to the festival swings, where you not only get to ride a classic carnival ride, but also check out the Silent Swings Stage. Although there was nothing silent about it, it was actually a very cool stage with light panels slightly reminiscent of Madeon’s live setup. After this we made our way to the zipline and wipeout-style obstacle course. Both offered loads of enjoyment for anyone who took advantage of all the rides and attractions, and many did over the course of the weekend. The rides and other attractions were one of the best parts of the weekend. There were ample concessions and bars including a vegan food truck and a cart that made hand-made smores. However, something was still amiss early on Saturday; oh yeah, there was no music coming from the Wet Electric stage (main stage). My photog and I went backstage to check out the artist/media area, just some tents, and we found out the main stage was still in the process of being built; that explained the lack of music. At this point it was well past 2:00 PM, the festival started at 11:00 AM. Making our way back out to the front of the stage, we made ourselves comfortable on the many bean bag chairs set up in the VIP area, although those filled up quick as the day went on. Next up, R3hab took the stage and he entertained the ever-growing crowd with his trademark blend of house and bounce. He mixed in edits of his hits such as “Flashlight” and “Samurai” as well his stellar remixes of Calvin Harris’ smash hits “How Deep is Your Love” and “This is What You Came For” f/ Rihanna. Hands were in the air, people were bouncing up and down, good times were had by all. This perfectly set the stage for NGHTMRE’s sundown set, easily the highlight of night one. NGTHMRE threw down an absolute banger of a set that ranged from trap to electro to even…Blink-182! He addressed the crowd telling them just as much, that he likes to play a little bit of everything. Highlights included a furious trap remix of Showtek’s “We Like to Party” and his own smash hit collaboration with Dillon Francis, “Need You.” Getting low was not an option but a requirement during NGHTMRE’s set. With nighttime firmly upon the beach, Tommy Trash took the stage to close out the night. He threw down his traditional mix of hard-edged progressive house and the lighting of the Wet Electric stage was finally able to flex its muscle. We called it a night around 8:30 and made our way out. With the fog rolling in and a dark haze blocking the sun from the beach, the vibe was considerably different on Sunday. As I mentioned, before, the Shipwreck stage was the hub of activity on Sunday, but the crowd definitely took it’s time arriving at the festival, even more so than on Saturday. That being said, if you love techno and deep house and enjoy that type of mood, you were having a blast on Sunday. By the time Erick Morillo took the stage around 7:00 both the stage and the sand in front of it was absolutely packed. There were even orbits and LED hula hoops lighting up the night sky on the outskirts of the stage. Unfortunately, the same can’t be said of the Wet Electric stage on Sunday. It was a ghost town during the early part of the day, and never really drew much of a crowd even as the day wore on. Much like Saturday, technical issues seemed to be getting in the way of music getting played early in the day. With live bands instead of DJs there was a lot more setup to be done, but all of the changeovers were slow. It seems like every time I walked over to check out some live acts, nothing was going on. I eventually got to catch a little bit of Miami Horror, an Australian indie-rock/synthpop band. It was chill, definitely a nice break from two hours straight of techno. I went back and forth between the Wet Electric stage and the backstage area of Shipwreck stage regularly throughout the rest of the day. I didn’t get to see much of his set, but the little I caught of Robert DeLong was actually really cool. The one-man dancepop act was very energetic and was making some really cool sounds through his multiple synths and programmers. Ditto for New Politics, a Danish pop-punk band, whose lead singer even threw down some break dancing moves for the small crowd enjoying them at the main stage. AWOLNATION closed out the main stage and I caught some of their set too. It was nice to actually hear some songs I recognized including their newest hit “Hollow Moon (Bad Wolf).” It was enjoyable, but I was done from the long weekend and ready to head home. Overall, it was a fun weekend at the beach. Although I didn’t have as much fun on Sunday as I did on Saturday, that’s not to say that was the case for everybody. The rides and slides were a deft touch, and lines ran smoothly at the bars and concession stands. The setting, obviously, can’t be beat. My biggest complaints were the lack of music being played early in the day and the technical issues that didn’t hamper my experience, but were noticeable. It also would have been nice to see the DJs and live acts mixed together, rather than separated into two different days. Although, that would have been tough from a logistical standpoint. All in all though, it was a great way to close out the summer. 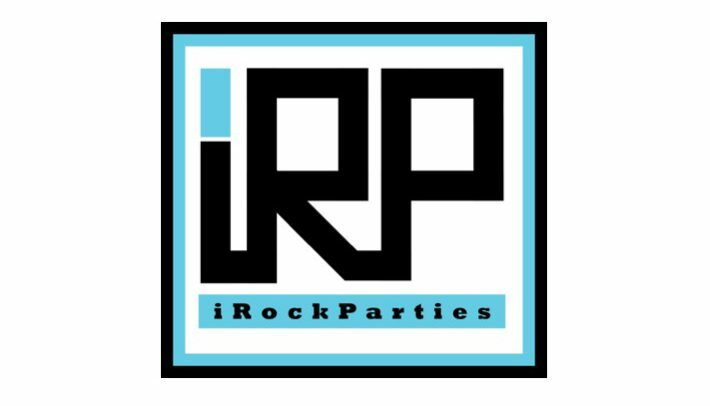 "iRockParties" "iRP" "Nightlife" "Nightclub" "EDM" "CEDRIC GERVAIS" "ERICK MORILLO" "HUNTINGTON BEACH" "NGHTMRE" "R3HAB" SUN DOWN MUSIC FESTIVAL" "TOMMY TRASH"